AMB-RotoTech GmbH from Eitting is a printing machinery service provider in Germany and neighboring countries. The company was founded by Martin Aschenbrenner in 1999. His top priority was to find solutions to wear and tear on belts in folders and shortcomings in product conveying systems to printers and to develop the required technologies. The company is subdivided into two business segments, PSS (Print Service Solutions) and TBS (Transport Belting Service). In order to establish itself as a high-level service provider on the market, the company’s portfolio ranges from offering customized solutions in terms of repairs and maintenance to a one-stop shop of maintenance concepts. Across Europe, a total of approx. 80 folders and delivery systems are looked after by AMB-RotoTech and on average 40 full maintenance jobs, inspections and many repairs are carried out during the year by the staff. 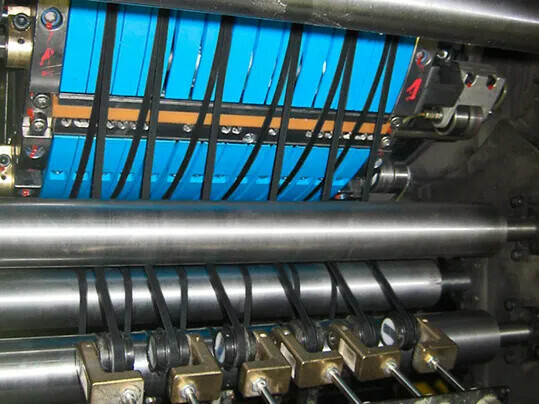 The company was seeking an innovative belt solution to feed the paper reliably into the printer and one that guarantees a high level of precision, is easy to handle and offers a long service life. And we were able to offer AMB-RotoTech exactly that. Our TT 4P-HC black Extremultus belt that we suggested met all three demands and impressed the company as a good problem solver. Short response times, as well as personal and dedicated support by our local sales agency will ensure customer loyalty. The excellent package of product quality and all-round service then led to a framework contract, therefore ensuring both customer satisfaction and loyalty.